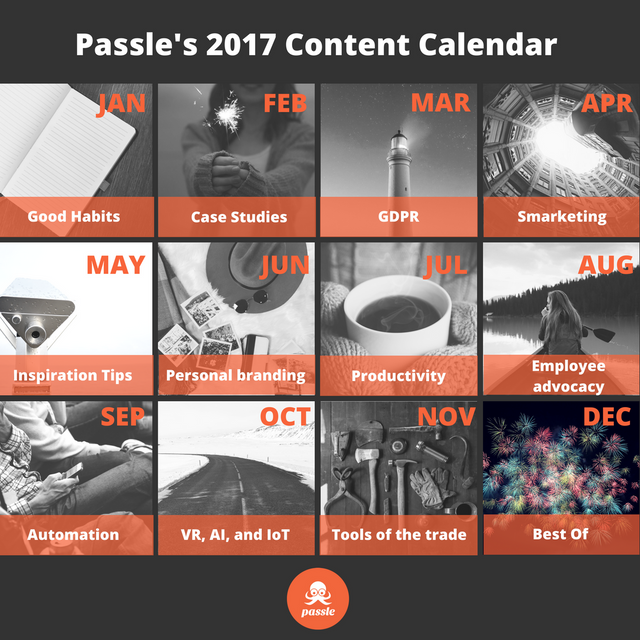 Last year, I took a leaf out of LinkedIn's editorial calendars and created one specifically for the sales, leadership and marketing team here at Passle. You can view it here. Making sure that not just the marketing folk create content has always been important to us, after all, part of our pitch is that Passle can help the most senior leaders create regular content - if we cannot practice what we preach, that would be a little shoddy. So for a little over a year now there's been a strategy in place to ensure the sales, leadership and marketing teams have a content plan and stick to it. Everyone says the kind of content output they feel safe committing to (for instance, one post a fortnight). And they stick to it. So ok, there is some software involved to make sure no one forgets, but this is what it is at a basic level. Where does the content calendar fit in? Let's face it, some weeks you're more inspired than others. Creating a simple calendar with monthly themes not only makes you think about the subjects you should be covering as a team but also, gives you ideas when you're stuck. The trick is to make them general enough to give room for manoeuvre, but also specific enough for you to negotiate the topic from an interesting angle. The other thing is to remember that it's not set in stone, you can change it! 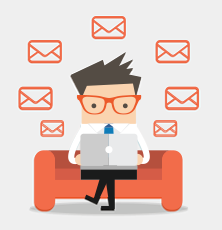 Maybe a big event will happen and you need your content to support it. Maybe you will change direction in terms of business goals and need content that aligns with this. Here is ours below. If you're feeling low on inspiration, feel free to use it!